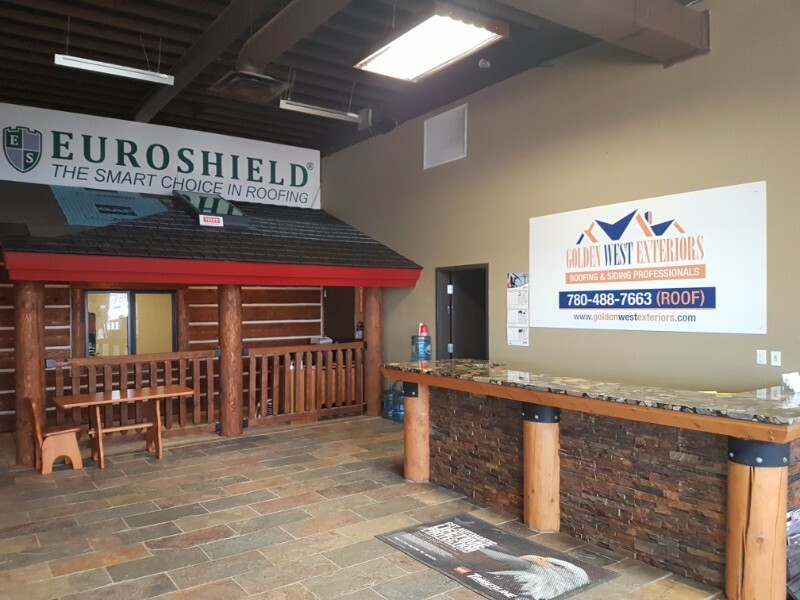 Homeowners and builders, if you have upcoming roofing or siding plans; or you are looking to gather ideas, you are highly encouraged to stop by the Golden West Exteriors showroom. 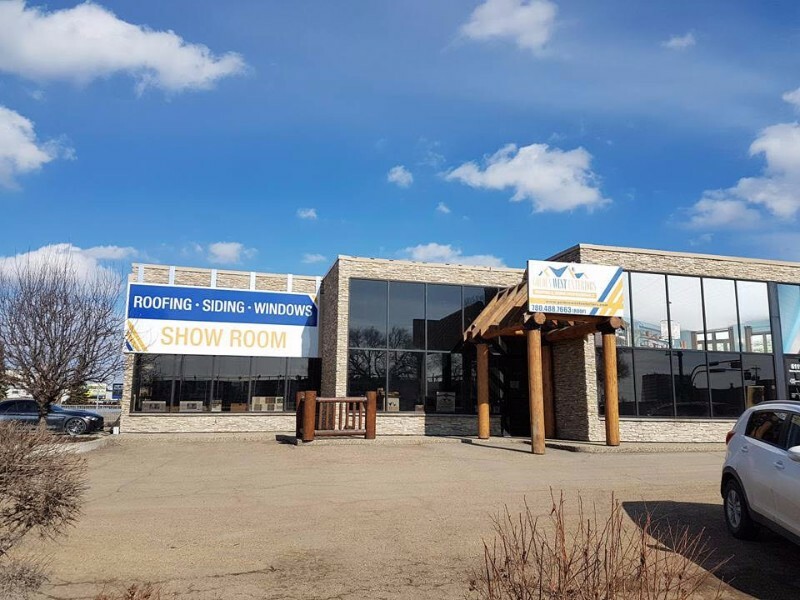 We’re centrally located on one of Edmonton’s major arteries, with easy access and lots of free parking, it’s easy to get here from anywhere in the city! 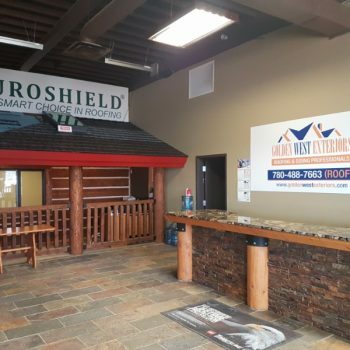 Come in and browse shingles in every available colour and learn about the ins-and-outs of complete metal roofing systems. 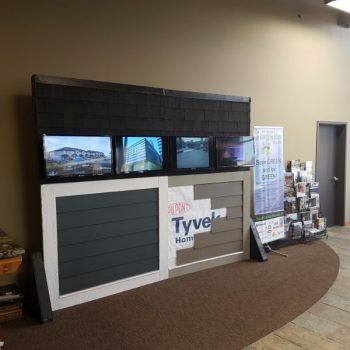 Full roofing system displays are available for viewing along with excellent educational materials. 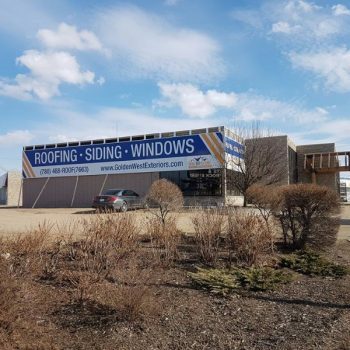 We’ve got a full selection of James Hardie siding products including HardiePlank, HardiePanel, HardieSoffit and HardieTrim. 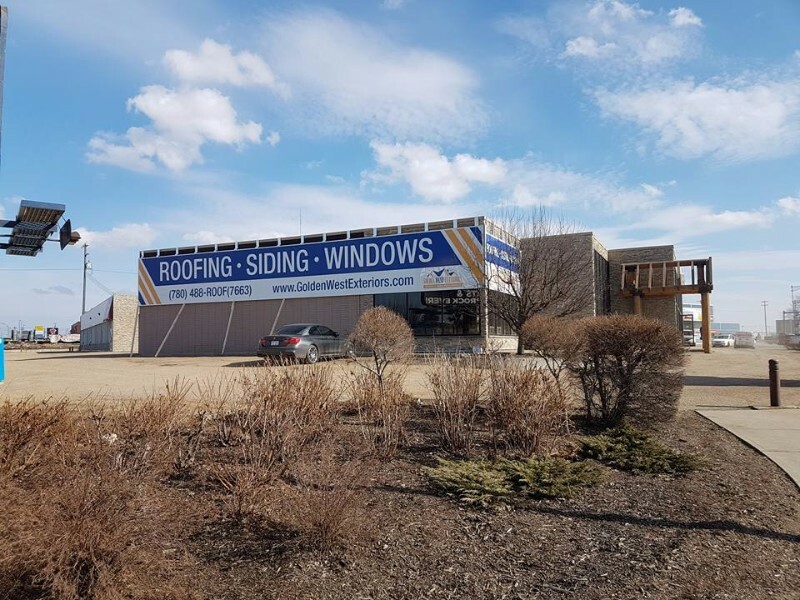 You aren’t going to find a more complete selection or a more knowledgeable team anywhere in or around Edmonton. 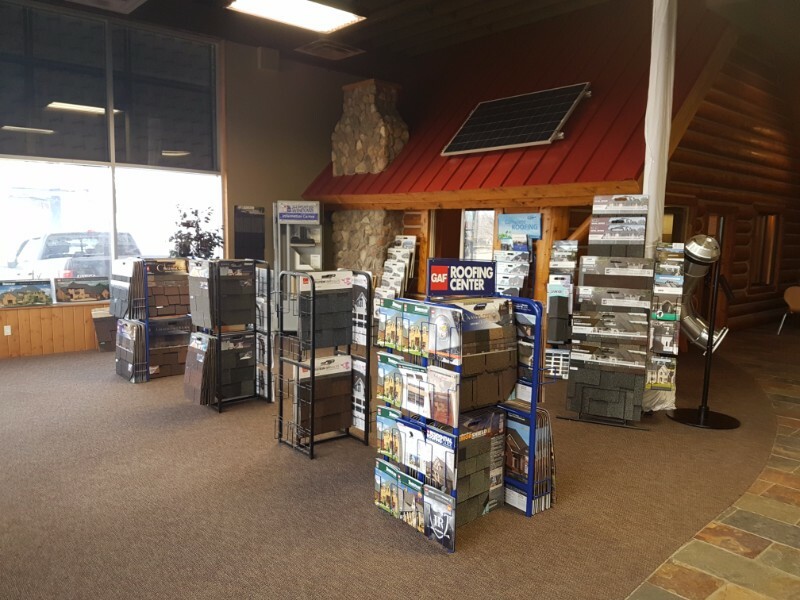 Stop by and take a look, and bring your list of questions with you. 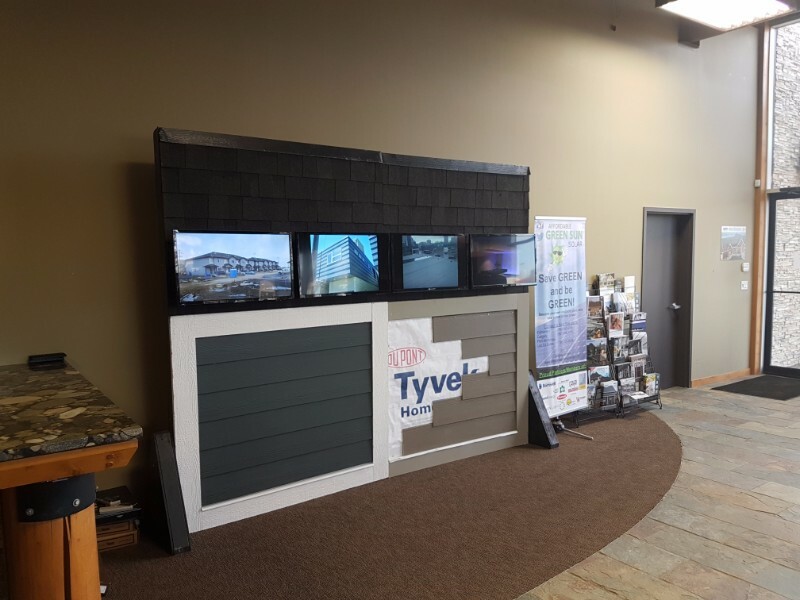 If you are in the market for vinyl siding, we’ve got you covered with all of the most popular styles and colours on display. 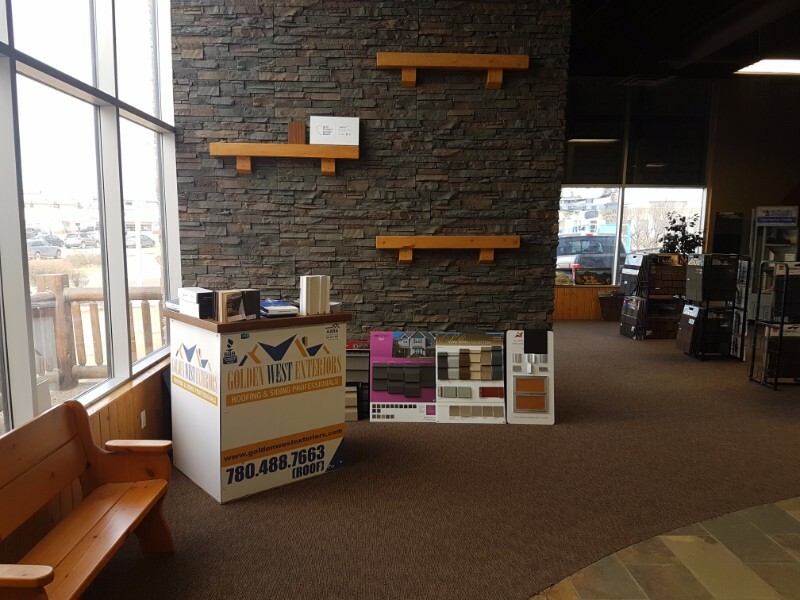 We’ll even give you samples to take home and consider at your leisure. 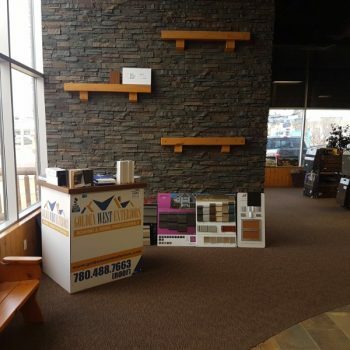 While you are here, check out our selection of architectural composite metal panels, faux stone and many other exterior finishes that will impact the look and performance of your project! 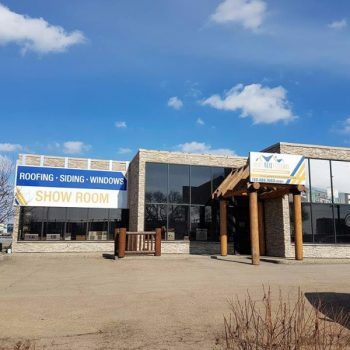 Stop by and see us at 6115 Gateway Blvd in Edmonton. 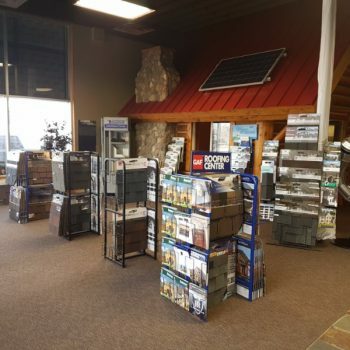 We’re fully staffed and ready to serve you from 9:00 AM to 4:30 PM Monday through Friday. See you soon!